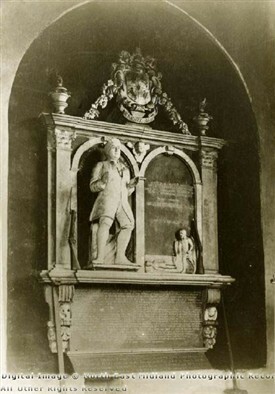 Thomas Parkyn's Monument in St Mary's Church, Bunny. In the reign of Queen Elizabeth I the manor of Bunny came into the possession of the Parkyns family, of which the most remarkable member was Sir Thomas, the second Baronet (1663-1741). 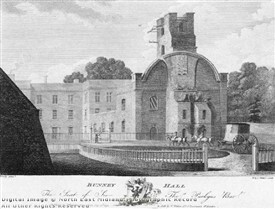 It was he who "practically rebuilt the village”, erecting the school, restoring the hall, and enclosing the park by a wall built upon arches. 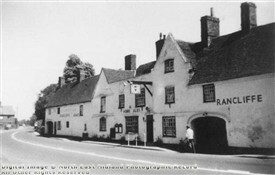 He also purchased the manors of Ruddington, Great Leake, Costock, Wysall, Thorpe, Willoughby, and parts of Keyworth, Barrow-upon-Soar and Gotham. 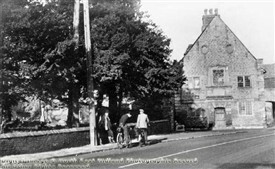 “This remarkable man”, says Everard Guilford (1), “is best known for his passion for wrestling, which he encouraged by the institution of annual wrestling matches held on a piece of ground, now in the gardens of the ‘Rancliffe Arms’. This monument is located in the village church of St.Mary on the north side of the altar. In 1795 Colonel T.B. Parkyns was raised to the Irish peerage with the title Lord Rancliffe, which peerage became extinct with the second Lord Rancliffe in 1850. This page was added by John Farjeon on 12/01/2013. Wasn't there a Sir Thomas Parkyns who invented a steam-powered tricycle(!) in the 1880s? Is he related to the Parkyns of Bunny? This gentleman was my direct ancestor. His portrait is on my page.